"Local, Licensed, Bonded, Family Owned and Operated." 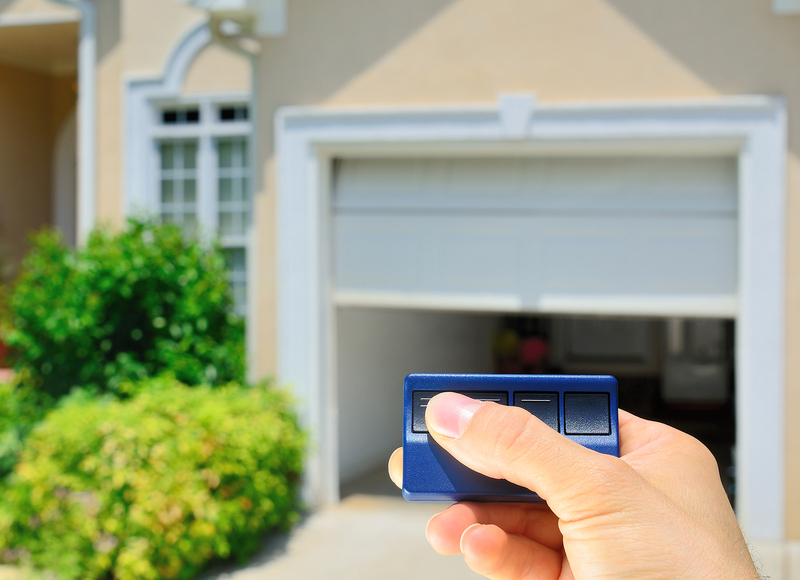 Chain, Belt, or Screw: Which Garage Door Opener Suits You? Do I need the quietest mechanism? Do I care about how fast my garage door opens and closes? Is the mechanism affected by the climate in my area? Will my garage door opener installation be DIY or professional? Do I want the cheapest option? Do I want a low maintenance option? Do I need a Heavy Duty garage door opener? Taking each of the above questions in turn, let’s see which type of mechanism is the most practical solution. If your home has an attached garage, and particular if you have a bedroom over it, you might prefer it if your garage door opener doesn’t produce much in the way of noise and vibration. Belt drives are the clear winner in these circumstances. Rubber belts make a lot less noise than metal chains and turning screws and are virtually free from vibration. Garage door openers are generally designed to move the door fairly slowly for safety reasons. If you don’t like waiting around too long though, you’ll probably be happiest with a belt drive. These drive mechanisms tend to run more smoothly and quickly than chains or screws. Extra-large garage doors or those, which are insulated, will need a powerful opener with a heavy-duty mechanism. Getting the extra power is more about the choice of motor for your garage door opener, but you also need a mechanism that will stand years of lifting and lowering the heavy door. The screw drive wins the day in this regard, although chain drives aren’t far behind in terms of resilience. There’s not much to choose between the three types of drive. They will all do well in hot or cold climates. However, if you live in a climate, which swings dramatically between hot and cold temperatures, it might be wise to steer clear of screw drives. They don’t stand up well to unstable climates. When you are on a tight budget and just want the least expensive option, choose a garage door opener with a chain drive. If you need to take noise into account, a screw-drive will set you back a few more dollars, but offers reduced noise at lower cost than a belt driven opener. A screw-drive garage door opener has few moving parts, when compared to the other types of mechanism. This generally makes for lower maintenance and marginally easier DIY installation. By answering the questions above, balancing the pros and cons of each mechanism shouldn’t prove too difficult. Whichever garage door opener type you choose, it will be with you for a few years. Therefore, it’s a good idea to prioritize your requirements and make an informed choice. Have you ever fancied giving your garage the look of an old-style coaching house? Would you like to come and go from your garage without waiting for the door opener to go up and down? Are you simply tired of lifting a manual up and over garage door? If the answer to any of these questions is yes, a pair of side hinged garage doors might be on your home improvement shopping list. Despite the modern trend towards up and over, sectional and roller garage doors, their older cousin, the side hinged door refuses to lie down and fade into history. This is not without good reason. Side hinged doors have features, which depending on your needs, might make them the perfect choice for garage access. Here are a few of the benefits that might swing your decision to purchase side hinged doors. Perhaps the biggest advantage of a pair of side hinged garage doors is the ease of access they provide. For one thing, there’s no lifting required to open them. No lifting means no effort. No effort means that there’s no need for a mechanized garage door opener. Side hinged doors swing open and closed effortlessly as long as the hinges are well maintained and lubricated. When access to your garage is required as much by pedestrians as by automobiles, side hinged doors really come into their own. 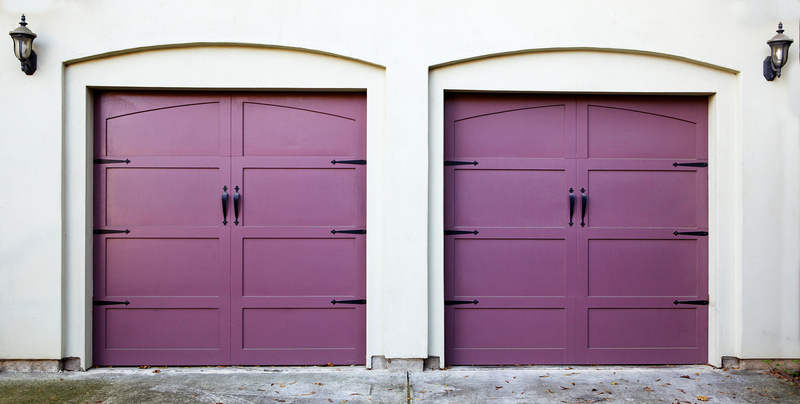 Because they are hung in pairs, you can gain pedestrian access to your garage by opening just one door. Not only is this quick and easy, if the weather is inclement you can work in your garage with just one door propped a little way open for ventilation. Side hinged doors are often chosen by people who use their garage predominantly as a workshop with storeroom. The double doors provide a lot more versatility than a single door that opens upwards. When you want to run in and out of the garage with your lawnmower, just open the one door. When you need to move a vehicle or get large things in and out, open them both. If your garage entrance is very large, or you need frequent pedestrian access, you can even have a third door within one of the main doors. Alternatively, you can have unequal sized doors, with the main door being small and the other door large for the rare occasions you need the whole entrance space. Sometimes called Carriage doors, side hinged garage doors can be made to look very beautiful and to match the other doors and frames at the front of your home. Many people who choose side hinged doors do so for their aesthetic appeal. 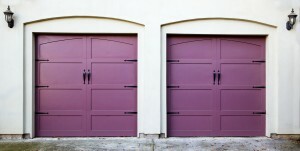 These doors can be clean and functional, or styled to make your garage look like an old-world coaching house. They are also the best garage doors if you want to have some glazed panels. Glazing not only looks attractive, but also allows more daylight in if you like to use your garage for working or hobbies. So if you’re over up and over, or you just want to give your home some old style class and curb appeal, side hinged garage doors open a world of possibilities. Remote control garage door openers are great until you lose the remote, or your kids flush it down the toilet. Fortunately you can easily purchase a replacement remote controller. There are a few things to consider when purchasing a new garage door remote and once purchased, you will need to program it to work with your door opener. If you have found yourself in a bit of a predicament and need to buy a new remote, this guide will explain the fundamentals of selecting and programming the replacement. Older style remote controllers have code switches that you can turn off and on. A matching set of switches will be present in the base controller for your garage door. This older method of operating garage doors is today being replaced by controllers with what’s known as “rolling code” technology. Each time you use the remote, the code is changed. Rolling code controllers have the advantage of being more secure against garage break-ins. Your remote controller uses a radio frequency signal to activate the garage door opener via the base control unit. There are two things to consider when buying a replacement remote for your garage door. Firstly, you should purchase a remote control by the same manufacturer as your garage door opener. Secondly, you need to make sure you choose the right radio control frequency. Commonly used frequencies are 300 megahertz (MHz), 310 MHz, 315 MHz, 318 MHz and 390 MHz. You should find the frequency used for your door opener printed on the motor. Make sure you buy a controller of the same frequency. The process for programming a garage door remote varies slightly depending on the manufacturer, but as a general guide you can follow these 5 simple steps. Somewhere on your garage door opener (Overhead unit) you will find a button marked “Learn” or “Learn code”. This button may be found on the bottom of the unit, or on one side. Press and release the learn button. You should either hear a beep or see a flashing LED indicating that the unit’s learn mode is activated. While the Led is flashing, or within 30 seconds of hearing the beep, press the button on your remote control. At this point the LED should stop flashing on the door opener or you will hear another beep to signify that the garage door opener has paired itself with your replacement remote control. Test your remote by pressing the button and your garage door should respond by opening or closing. If your garage door opener and replacement remote control have code switches, you must make sure that the switches in the opener and the remote are in the same position. That’s pretty much all you need to know, in order to buy and set-up your replacement garage door remote control. So now all you need to do is raid your errant child’s piggy bank and get down to your local DIY store or garage door supplier. You will be back to effortless garage door opening in no time. If you’re thinking about shopping for a new garage door, you might be undecided on which type of door you require. All the common types of garage door have their unique advantages and disadvantages and everybody has their own reasons for choosing a particular type. If you’re looking for a relatively inexpensive solution and especially if space is an issue in your garage or drive, you might consider a roller door. Here are 6 key advantages to this particular type of door, which is becoming a popular alternative to sectional garage doors for space saving situations. Roller garage doors have an opening and closing mechanism that provides a smooth, fluid action, making them easy to open manually. To make it even easier, non-automated roller doors are generally fitted with a spring mechanism to aid manual raising and lowering. 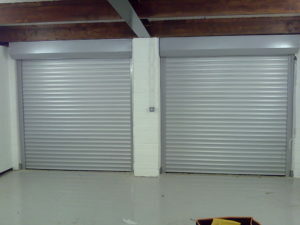 Roller garage doors lend themselves well to the addition of automated garage door openers. The relatively low resistance of the opening and closing mechanism means they don’t require a particularly heavy-duty opener. If you prefer not to have to open your garage door by hand, you can have an electrically powered, automated opener installed. Because roller doors literally “roll-up” into a tight space above your garage door opening, you don’t have any tracks running along your internal roof space. The rolled-up door fits right above the door aperture, so you also have the advantage of a few extra centimeters headroom. This is particularly welcome if you have a taller vehicle such as a van that you wish to keep in your garage. If you’ve ever had your shins smacked by the bottom of an up and over door while you or someone else was opening it, you’ll appreciate this particular benefit of a roller garage door. This door type opens vertically, so your shins don’t need to take any punishment. Another benefit of a roller door’s vertical action is that you can park a vehicle very close to the door. Even if the nose of your vehicle is almost kissing the door, you can still raise and lower the door on its roller. This makes a roller garage door very advantageous if you have a short driveway, or if your drive space is regularly taken up by multiple parked vehicles. If maintaining a certain temperature in your garage is important, you can purchase a double-skinned roller garage door with insulating material between the skins. 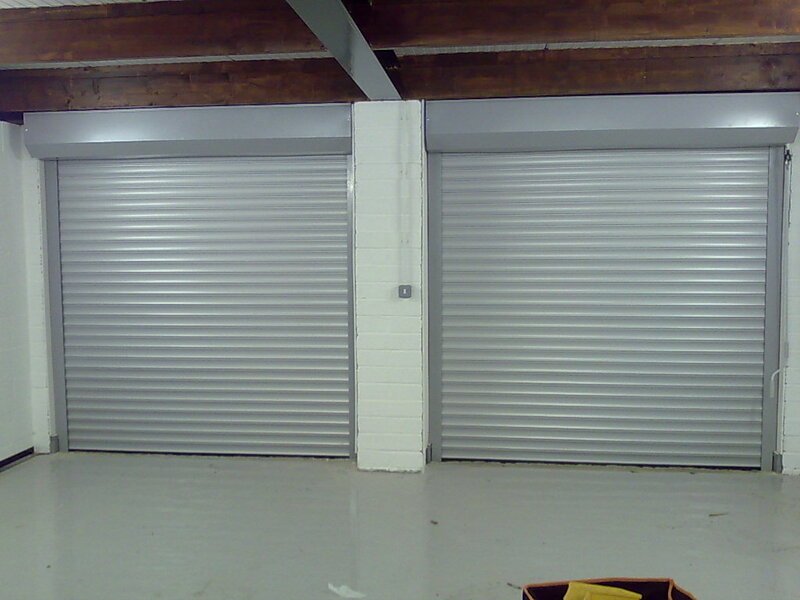 Double-skinned roller doors are very good at isolating a garage interior from external temperature fluctuations. Additionally, roller doors usually come with a rubber seal on the bottom, which forms a tight closure and resists water ingress. If you need a garage door which provides good weatherproofing, doesn’t take up space and is easy to open, a roller door could be your best solution. In addition to the 6 advantages listed above, roller garage doors also look good and can be supplied in just about any color. If these benefits match your needs, why not take advantage and get your garage door on a roll? © 2017 Perfect Solutions Garage Door Houston, Texas. All rights reserved.